Hobgoblin is the second most popular selling bottled beer in the UK. 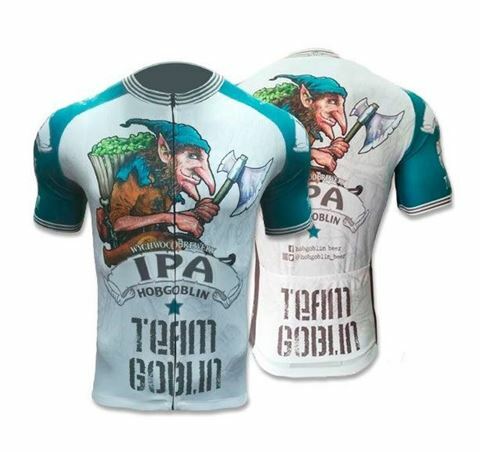 We are now proud to offer the new and official Hobgoblin IPA green and white cycling jersey here in the U.S. Stand out from the crowd in this eye catching beer jersey! Elasticated hip with full circumference SPEG® silicone grip for an improved flexible fit. Reflective element on the rear of the jersey for extra visibility.